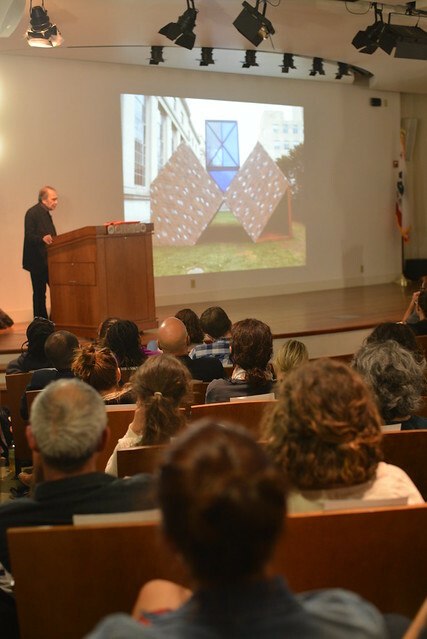 Artist and architect Vito Acconci launched the Art, Technology, and Culture Colloquium 2015-2016 Season to a packed crowd on September 28, 2015. Check out the pictures and highlights below! And thank you to the ARC | Arts + Design Initiative, UC Davis Mellon Sawyer Seminar on Surveillance Democracies, and Art Practice department for helping us to produce the event!